Southern California’s Brouwerij West opened its craft brewery and tasting room. It is located in San Pedro inside a wood truss-roofed warehouse that was originally built by the U.S. Navy in the 1940s, now part of the CRAFTED arts complex. Brouwerij West, Warehouse No. 9, 110 E. 22nd St., San Pedro, CA 90731, 310-833-9330. Chef Evan Funke (formerly of Bucato) and Gusto 54 will open Felix, a modern Italian restaurant in the former Joe's space in Venice. Look for a Summer 2016 opening. Felix, 1023 Abbot Kinney Blvd., Venice, CA 90291, no phone. 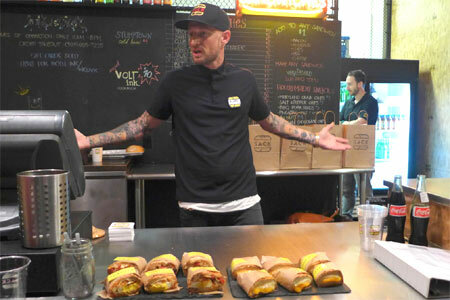 "Top Chef" winner Michael Voltaggio's sandwich spot ink.sack has changed names to Sack Sandwiches and introduced a new location on Sunset Boulevard in West Hollywood. The location of ink.sack at LAX airport will continue to operate under the original name. Sack Sandwiches, 8915 W. Sunset Blvd., West Hollywood, CA 90069, 424-777-0113. 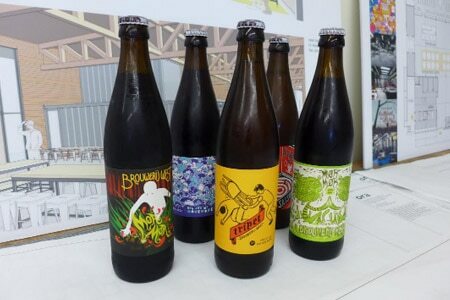 Copenhagen-based brewer Mikkel Borg Bjergsø and business partner Chuck Stilphen have already delivered ambitious taprooms/restaurants to cities like Reykjavik, San Francisco and Seoul. The duo is taking over a 100-year-old, 7,600-square-foot building in downtown L.A. that previously housed Discount Tire Centers. It will be called Mikkeller Bar. Expect coffee in the morning, a full-service restaurant for lunch and dinner, and 50 taps of craft beer, many from Mikkeller. Mikkeller Bar, 330 W Olympic Blvd., Los Angeles, CA 90015, no phone. Chef Johnny Zone and his wife, Amanda Chapman, previously with La Poubelle, found Nashville hot chicken so inspired that they launched a food truck that featured the dish. The couple retired their truck in order to open this eatery at Chinatown’s Far East Plaza. Howlin' Ray's first brick and mortar will debut in 2016. Get angry bird on the bone at spice levels from "country fried" (mild) to "howlin’ hot" (incendiary). Sides include pimento cheese mac salad and crinkle-cut French fries. They’re also have a hot chicken sandwich with chicken breast, slaw, pickles and spicy Southern spread. New dishes include chicken and waffles and the Skinny Jimmy boneless breast. Howlin' Ray's, 727 N. Broadway, Los Angeles, CA 90012, no phone. Chef Noelle Fanaris, who has been running Engaging Gourmet catering company and Comfort Gourmet food product line, has opened Rustic Kitchen Market & Café down the hill from Santa Monica Airport. The seasonal menu at the 55-seat café focuses on sandwiches, salads and specialties like fried chicken sliders and butternut squash mac and cheese. Rustic Kitchen runs special dishes for most holidays, including a Mardi Gras crawfish boil and a St. Patrick’s Day corned beef and cabbage. The market sells cheese, charcuterie, a variety of teas and soft drinks. Claret wine bar is forthcoming. Lunch & Dinner Wed.-Mon. Rustic Kitchen Market & Café, 3523 S. Centinela Ave., Los Angeles, CA 90066, 310-390-1500. 118 Degrees, a vegan and raw foods eatery previously located in Costa Mesa, has opened in Tarzana. 118 Degrees, 18636 Ventura Blvd., Tarzana, CA 91356, 818-660-1118. In Echo Park, Winsome is the new sleek spot from Spare Room owners Marc Rose and Med Abrou. 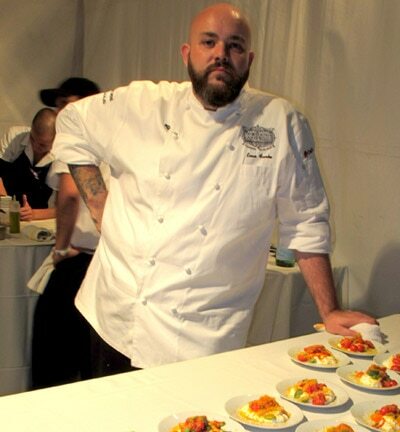 Jeremy Strubel (Rustic Canyon) creates contemporary American dishes like shaved cauliflower salad with mustard frills, harissa chicken salad, speck and comte grilled cheese on brioche, and chicken soup with black garlic. Former Republique pastry chef Leslie Mialma does the baking, and there’s a case with goodies at the front of the restaurant. At the moment, it’s open for breakfast and lunch, with dinner soon to follow. 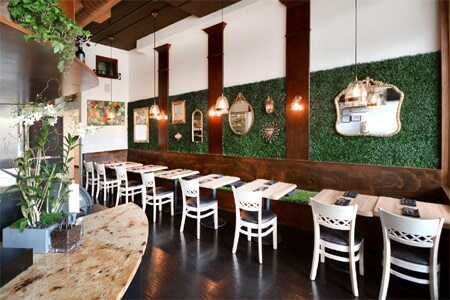 Winsome, 1115 Sunset Blvd., Los Angeles, CA 90012, 213-415-1818. Amelia Bakery and Cafe has filled the void of the former Susina Bakery space on Beverly Boulevard. Expect dishes like freshly baked foccacias, sandwiches, salmon toast with homemade gravlax, and beet tarte tatin. Bakery specialties by chef/owner Yoav Rogel (Eataly) include daily breads, pastries, babka and rugelach. Breakfast, Lunch & Dinner daily. Amelia Bakery and Cafe, 7122 Beverly Blvd., Los Angeles, CA 90036, 323-954-1250. Chef Judy Han (Mendocino Farms) opened Eko Eats in the Financial District downtown. Expect Korean-styled bowls of kimchi fried rice, bibimbap and fried Korean chicken, as well as bone broth, organic rice porridge and vegan dishes. To drink, there’s organic matcha green tea, and Sugarbird Sweets brownies for dessert. Eko Eats, 630 W. Sixth St., Los Angeles, CA 90017, 213-622-1616. Officine BRERA in downtown Los Angeles features an Italian menu from chef Angelo Auriana. It's housed in a 1920s warehouse next to sister establishment The Factory Kitchen. 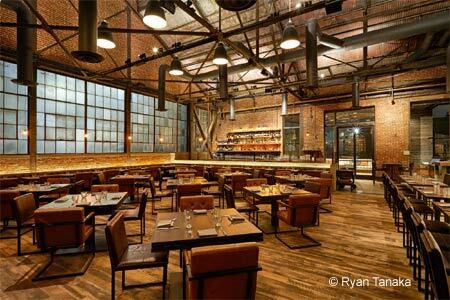 Officine BRERA, 1331 E. Sixth St., Los Angeles, CA 90021, 213-553-8006. Chef Mike Williams (Tipple & Brine) is behind contemporary American restaurant with a southern accent, Norah, in West Hollywood. Southern regional dishes take the spotlight, supported by seasonal cocktails by mixologist Hamish McShane. Norah, 8277 Santa Monica Blvd., West Hollywood, CA 90046, 323-450-4211. Moruno has opened at The Original Farmers Market. It's a full-service Spanish restaurant from chef Chris Feldmeier and front of house partner David Rosoff, who worked together at Osteria Mozza and Campanile, along with the Sprout LA restaurant group. The namesake dish is a Moorish-influenced kebab cooked over wood. Bar Vermut upstairs is still in progress. Moruno, The Original Farmers Market, 6333 W. Third St., 110, Los Angeles, CA 90036, no phone. Cajun restaurant Harold & Belle's has re-opened after being closed for renovations. Harold & Belle's, Jefferson Park, 2920 W. Jefferson Blvd., Los Angeles, CA 90018, 323-735-9023. Hotel Casa del Mar has teamed up with Grand Hotel Quisisana in Italy to present a Capri-inspired menu at Catch. The à la carte dinner menu is available from February 4-10, 2016, and features dishes from Quisisana’s executive chef Stefano Mazzone and Casa del Mar's chef Alberico Nunziata. Catch, Hotel Casa Del Mar, 1910 Ocean Way, Santa Monica, CA 90405, 310-581-7714. The annual truffle dinner series at SAAM at The Bazaar by José Andrés will run through February 20, 2016. Chef Aitor Lozano Zabala, creative director of José Andrés’ ThinkFoodGroup, has created an inventive 18-course, $250-per-person menu featuring black truffles. The menu will be offered on Thursday, Friday and Saturday evenings. 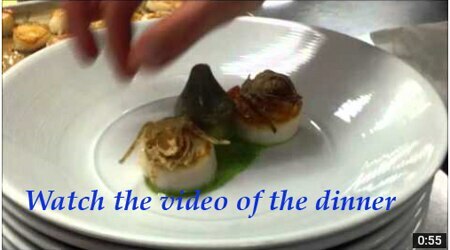 Reservations are required and can be made by calling 310-246-5555. SAAM at The Bazaar by José Andrés, SLS Hotel at Beverly Hills, 465 S. La Cienega Blvd., Los Angeles, CA 90048, 310-246-5555. Andrew Vaughan has been named chef de cuisine at Terranea Resort's signature restaurant, mar'sel. He recently served as chef de cuisine at Nelson's. mar'sel, Terranea Resort, 100 Terranea Way, Rancho Palos Verdes, CA 90275, 310-265-2701. After closing Il Grano last year, chef Sal Marino is back in the kitchen at Marino Ristorante. His brother, Mario Marino, operates the restaurant, which was launched in 1983 by their father, Ciro "Mario" Marino. 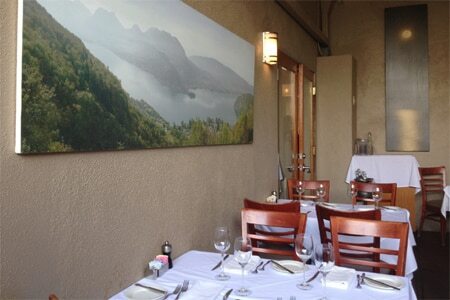 Marino Ristorante, 6001 Melrose Ave., West Hollywood, CA 90038, 323-466-8812. Cookie Casa Bakery will close after February 27, 2016. Everything in the bakery case will be sold for $1 from 9 a.m. on that Saturday. Cookie Casa Bakery, 8116 Beverly Blvd., Los Angeles, CA 90048, 310-922-6396. Chef Bobo Ivan's Bobo has closed after less than a year. The restaurant had taken over the former Piccolo Ristorante in Venice. Bobo, 5 Dudley Ave., Venice, CA 90291, no phone. Chef-owner Joe Miller has closed his pioneering Venice restaurant, Joe's, after 24 years in business. The last night of service was February 14, 2016. Joe's, 1023 Abbot Kinney Blvd., Venice, CA 90291, no phone. The original Glendale branch of Recess Eatery has closed. Husband/wife team Sevan Abdessian and Tamar Kevonian recently opened a second location of Recess Eatery in Highland Park. Recess Eatery, 1102 N Brand Blvd., Glendale, CA 91202, no phone. BottleRock in Culver City has closed, but the downtown L.A. location remains open. BottleRock, 3847 Main St., Culver City, CA 90232, no phone. California Pizza Kitchen at the Beverly Center has closed. California Pizza Kitchen, Beverly Center, 121 N. La Cienega Blvd., Los Angeles, CA 90048, no phone.